Though cooler temperatures help preserve uncut pumpkins, if the temperature drops to the freezing point, the pumpkin is in trouble because its cells get damaged. If the weather warms up again, the pumpkin skin is soft, and the pumpkin begins to rot. Minor frost does not typically cause much harm. 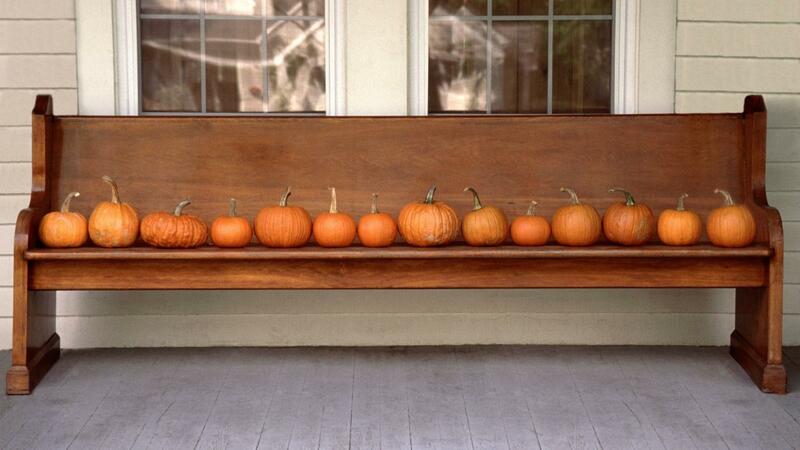 Pumpkins face problems with mold if they are stored indoors. Place a protective piece of fabric or cardboard under the pumpkin's base to prevent damage to floors or furniture in case this occurs. When initially picking a pumpkin, always look for a sturdy stem. A weak and flimsy one is usually an indication that it will soften and rot quickly. Also, make sure the pumpkin is free of spots and visible damage. When storing the uncarved pumpkin, do not put it in direct contact with any sunlight. This will cause the pumpkin to rot quickly. The ideal temperature range is between 50 and 55 degrees Fahrenheit. What Are Some Design Ideas for Pumpkin Carving? Which Vegetable Was Originally Used to Carve Jack-O-Lanterns? How Far in Advance Can You Carve a Pumpkin? What Are Some of the Best Pumpkin-Carving Ideas? How Do You Find Giant Pumpkin Carving Patterns?